The Chinook Jacket and Pants have become one of our favorite pieces at the KUIU office. 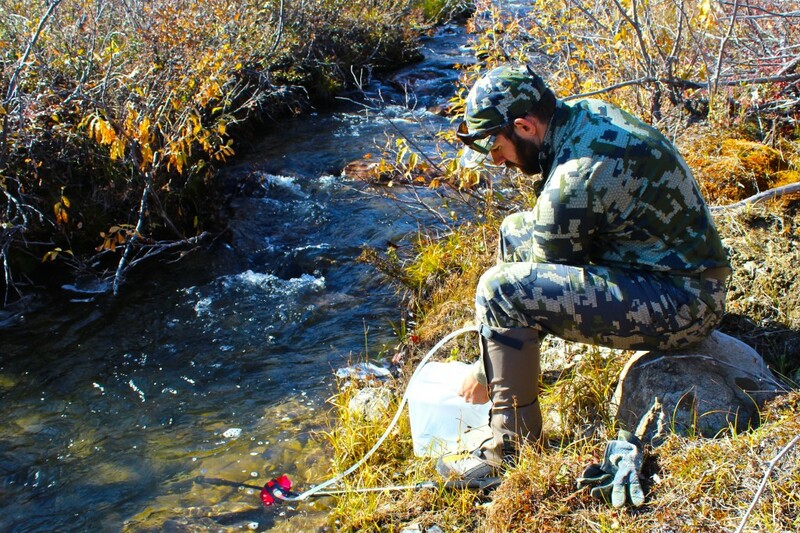 We have worn it from mid season Elk hunts in Wyoming, to late season Mule Deer hunts in Idaho, to Caribou hunts 180 miles into the Arctic Circle. 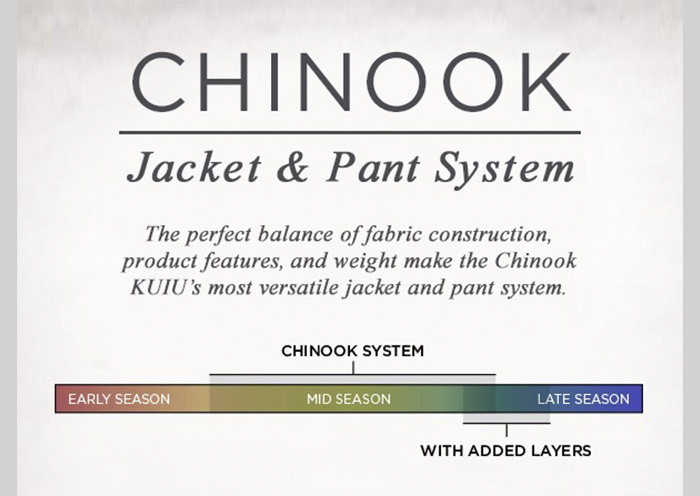 The versatility of the Chinook sysem comes from the technical features of the fabric. With a 30 Denier Stunner Stretch face fabric that provides the ability to cut the wind, bonded to a micro check fleece backer that provides the temperature regulation, the Chinook is an incredibly light weight versatile Soft Shell set. These pieces can cover you from the latter part of the early season all the way into late season. 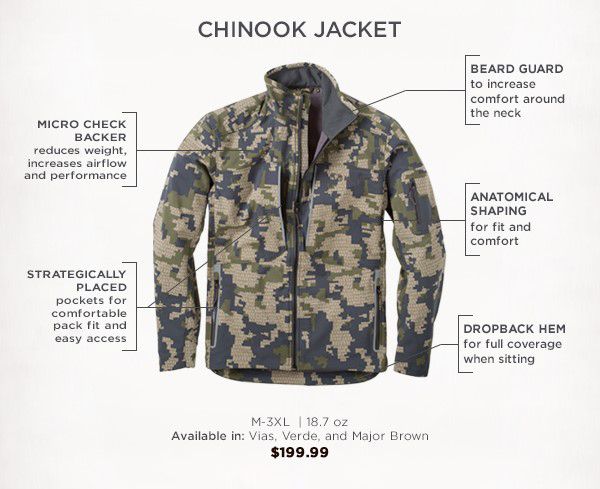 The Chinook Jacket is one of the most versatile pieces that we offer. It is light weight and breathable enough to be worn as an early season Jacket, but can be layered underneath when the weather starts to cool down. 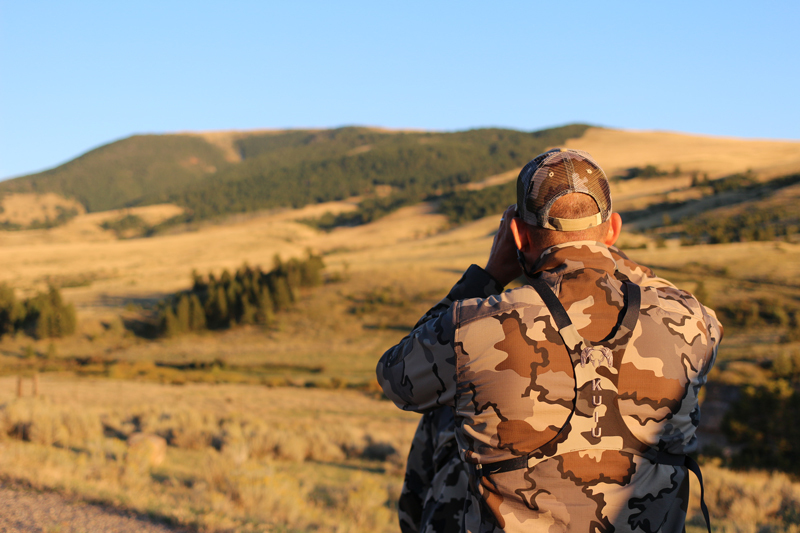 With well thought out designs such as strategically placed hand pockets for easier access when wearing a pack, and a dropback hem to provide full coverage while sitting and glassing, the Chinook Jacket is full of product features to help keep you comfortable while hunting. 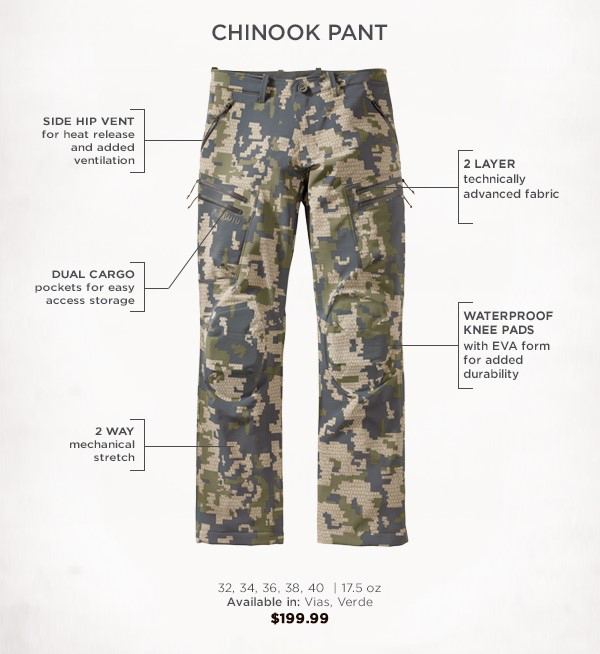 The Chinook Pant utilizes our Yukon fabric on the face of the knee pads, it not only adds durability to a vulnerable part of the pants, but also allows your knees to have a waterproof cover while kneeling in wet conditions. For when you drop your pack to make a stalk, or for items you need readily available, we provided dual zippered cargo pockets that can be easily accessed while on the move. And to further the versatility of the Chinook Pants we added hip vents to help release heat and cool you down when you are on the move. The Chinook garments are by far my favorite from your line up. I love the versatility of using it as is or teaming it with the Super down jacket. Definitely my go to gear! I own the Chinook jacket and have been very pleased with it, perfect for Arizona hunting light weight and great for layering…..